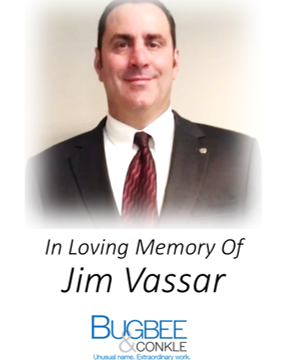 The many friends of Jim Vassar wish to remember him by organizing an event in the game he loved. Jim was a friend of Bugbee & Conkle and we will be a sponsor for this memorial in his name. The event will be held at Spuyten Duyval Golf Club, 9501 Central Ave., Sylvania, Ohio 43560 on September 26, 2015 beginning at 11:00 am. If you would like to register for this event or for more information, click here.